Capturing these special moments in my own family's and client's lives is so special. Alessandra's gown was gorgeous! 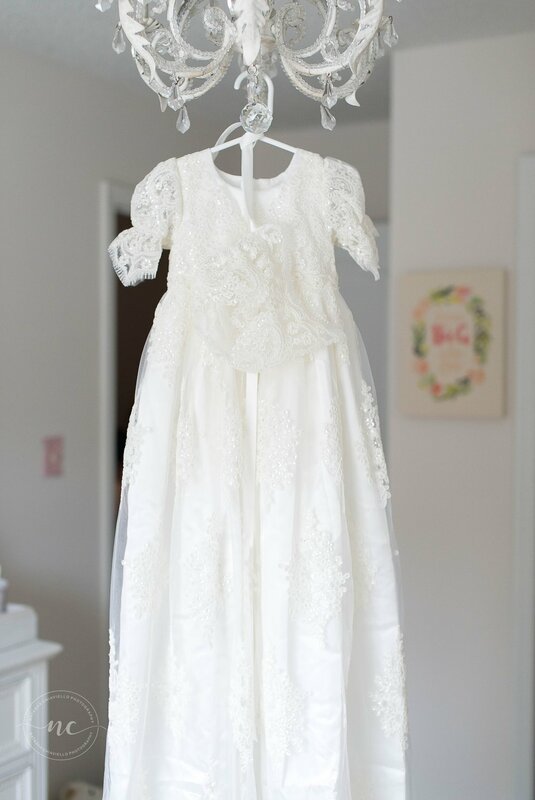 I love the delicate lace and sparkly details. Of course Miss A was all smiles as usual. She's just the sweetest baby ever! God Bless Alessandra!